Before I even decided to try my hand at writing, I was (am when I find the time) an avid reader. 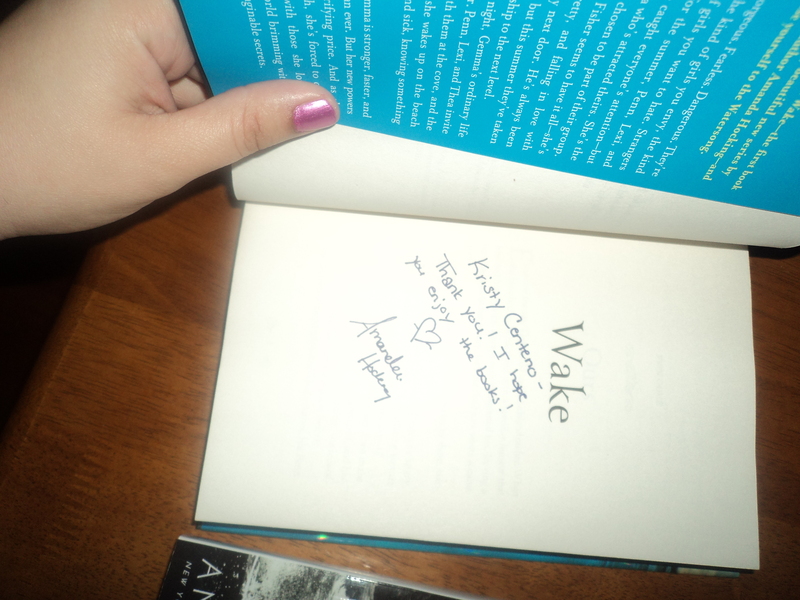 One of my favorite authors (and I say one because I have many) is Amanda Hocking. When I read the My Blood Approves series, I instantly realized I loved her work and would most likely enjoy any other books by her. Unfortunately, I never got around to reading any more of her books because I was too busy with school. After graduation, I was contracted for the very first time by a Publisher and as you might have guessed already, my focus (aside from raising four children, running a house, etc. etc. etc.) centered on my writing. So when I stumble upon an update one day while browsing Facebook that included a new giveaway she was having on her blog to promote the Watersong series, I jumped on board and decided what better way was there to celebrate Valentine’s day than to enter the contest and hopefully (fingers crossed) win. Wasn’t I absolutely flabbergasted when I got an email a week later that announced me as one of the lucky winners. I couldn’t believe it! After the shock sensation passed, and the news had time to sink in, excitement hit. I waited all week long for the prize to arrive and when it did I was even more animated. Although my time is still strictly constricted, I’m hoping to make time to start reading. What do you guys think? I received all three books in the watersong series. Pretty cool, huh? The books were addressed to me and signed. She included a note too! 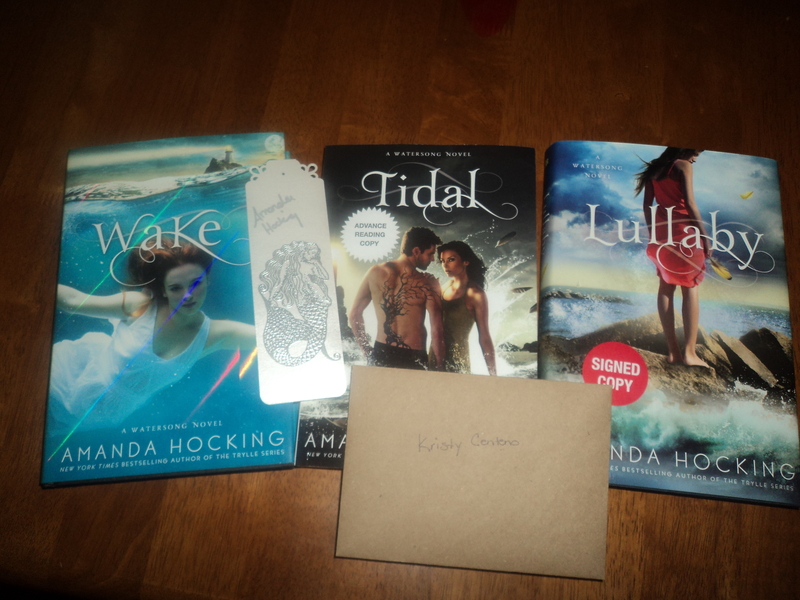 I guess this is just the incentive I needed to enjoy another Amanda Hocking book, wouldn’t you agree? Anyway, I intend to start going through these a.s.a.p. Congratulations! 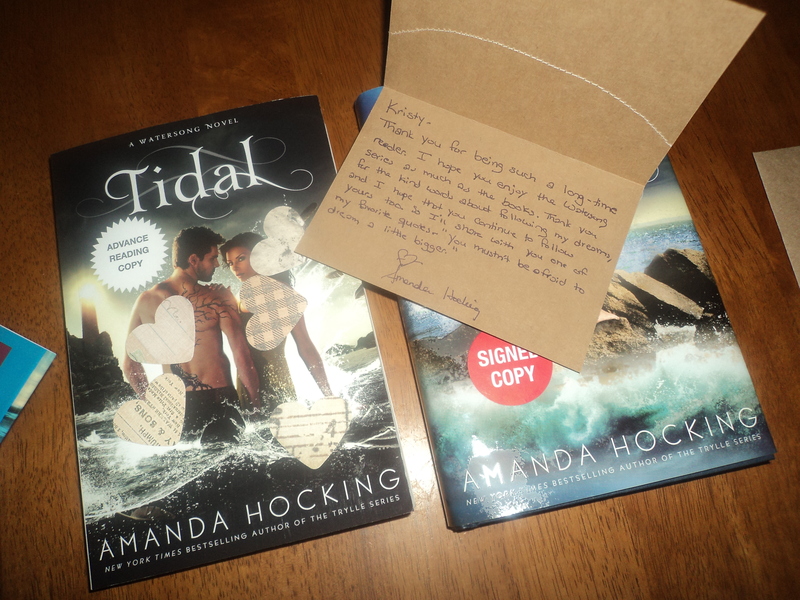 Books plus a personal note-Wow. I thought the presentation was beautiful. You have inspired me to start entering contests. Now get back to writing. You should enter contest. I thought that never in a million years would I win so imagine my surprise when I found out that I did. Who knows, you might win too. P.S. I definitely have to get back to writing now, lol. Been slacking today. What a beautiful presentation. You have inspired me to start entering contests. You are such a go getter. Cheers to you and happy writing.